20 January - 14 April 2018 in Gallery Three & Four. In January 2017 a group of artists came together for an intensive two-week residency in Bapugaon a remote village in rural Maharastra, India. Warli painters, artists and craft workers, a musician, filmmaker, story-teller, designers and ceramic artists, collaborated in creating an installation in the landscape of the village, as a collective response to the idea of establishing an art centre as a site for the preservation and development of Warli creative practice. Developing the idea of cross-cultural exchange the artists made a link between the changing Bapugaon village and regeneration ambitions of a UK city, Stoke-on-Trent. At Touchstones Rochdale the HeartBeat installation is re-configured with new commissioned works introduced. It includes Warli narrative paintings alongside film works, sculptural pieces, objects and sound works. Featured artists include: Jasleen Kaur, Jay Thakkar, Jason Singh, Joanne Ayre, Johnny Magee, Ramesh Hengadi, Jayshree Hengadi, Lokesh Ghai, Rishav Jain, Stephen Dixon, Anjum Malik, Anita Balu Mashe, Balu Dumade, Balu Mashe, Jayshree Mashe, Kishoor Mashe, Praveen Mashe, Sadashiv Mashe, Shantaram Ghorkana and Vijay Mashe. The HeartBeat project has been funded by Arts Council England under the Reimagine India programme as part of the 70th anniversary of India Independence in 2017. 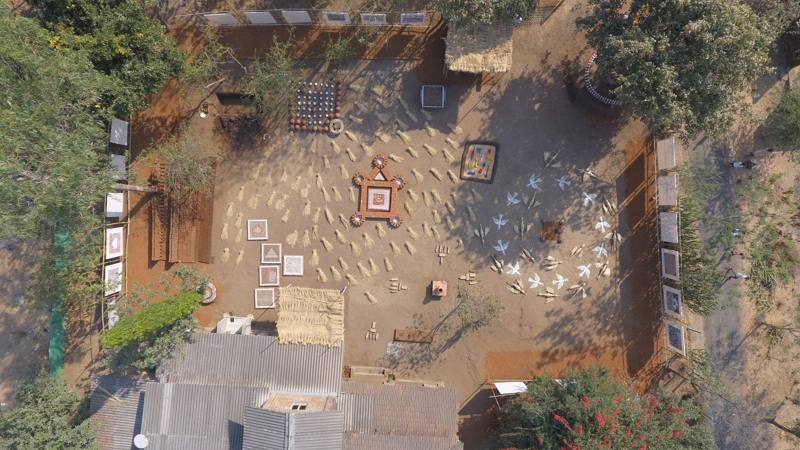 Image: Johnny Magee, Aerial Photograph of the Heartbeat Installation (Bapugaon). Courtesy the artist and Heartbeat. 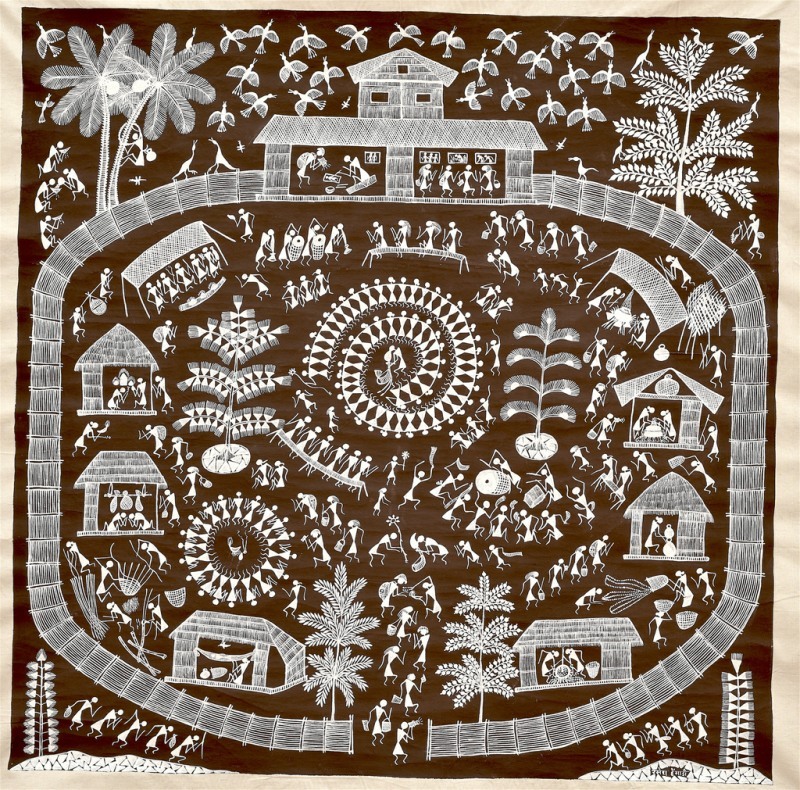 Image: Ramesh Hengadi, Warli Kendra. Courtesy the artist & HeartBeat.